Sometimes I think the Joann coupons I watch for and save are costing me more in the long run. Although I save a lot on purchased items (40% and 50% off), I tend to buy more. So, I ask you, who makes out better? Joann's or me. hmmm..
Last stop, I came across this new kit I had not discovered before. 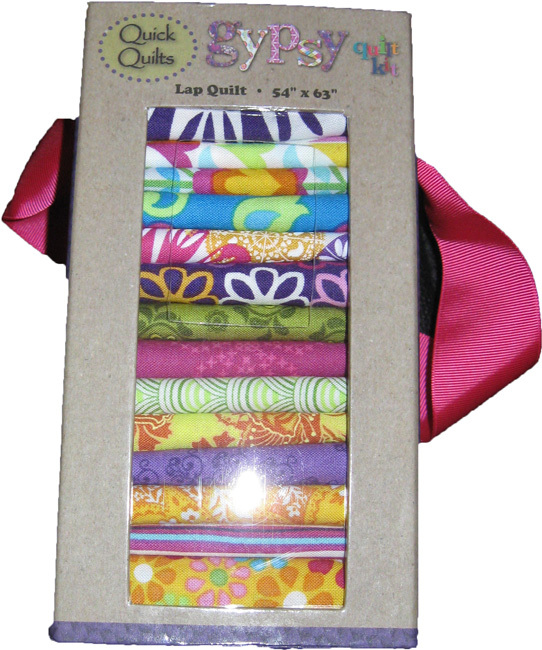 It was a cute boxed lap quilt kit called Gypsy Quilt Kit. I love the fabrics in the kit. They are so bright and fun! Would be perfect for a young girl. 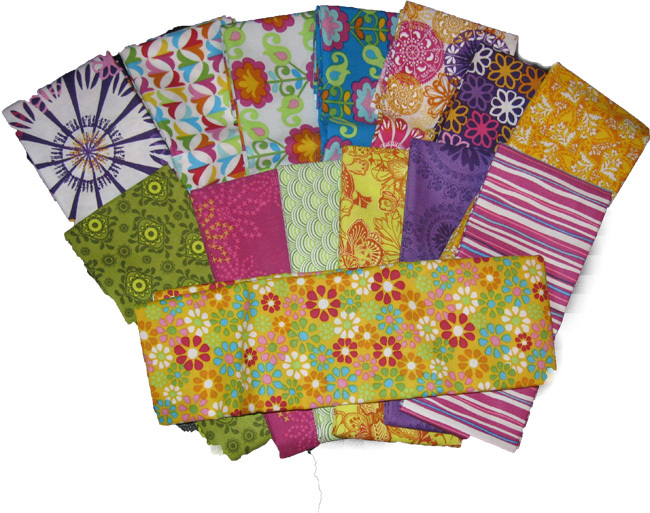 It comes with 13 FQs and 1 piece 1/2 yard for binding. The retail is $39 but never pay retail is my motto! I'm trying to keep myself from going back and getting the queen size version with another coupon. It has detailed instructions inside the box. 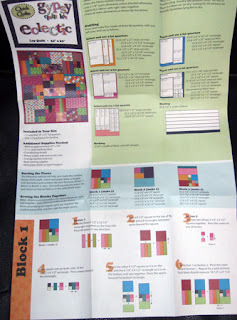 Who knew that a random pieced quilt would require such detailed instructions. Now comes the fun part, following the directions.This will come in line after I finish my Santorini Lap Quilt and start/finish my Royal Menhi fabric Quilt! I'm like you, it has to be on sale! We don't get too many coupons here in Canada, so I'd say, the store is getting you in there and then they have you! How can you resist? I do love those fabrics! Who needs directions?! I used this kit to make a "raggy" baby quilt and it was THE HIT OF THE SHOWER! I agree it has to be on sale! I bought this kit to learn on. I am also teaching myself to sew, however the directions were not in the box. UGH, I have no clue what to do with it. They now have these on clearance for $20. I have been up there at least 3 times and thought about buying it. I wish it had fabric for the back with the kit. I have made 2 of the tote kits and thought it would be cute giving out the quilt with the matching bag. You think you spend more with the coupons. I also get the teacher discount of 15% on my total order. 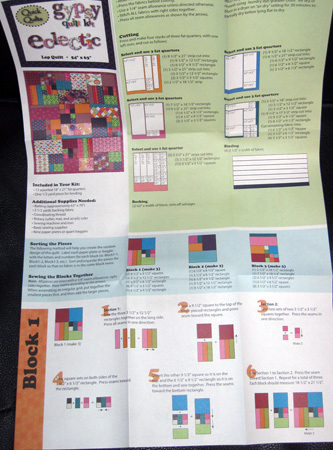 I know this is an old thread, but do you happen to still have the instructions for this quilt? I bought it last summer from Jo-Ann's and loved the finished product so much, I want to make another one! I tried saving the instructions but they seem to have gotten lost, and I am searching for the company's phone number to see if they have an extra set of instructions laying around the factory. I have no way of contacting you since you do not have your email on your posting. I do have the instructions. Please email using my email link in my profile.